How do you choose the best chiropractor for you? 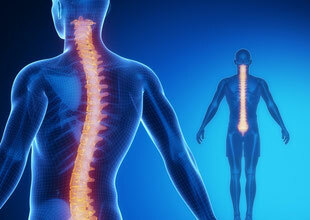 This article outlines what we think you should look for in a good chiropractor. Given that chiropractic is a physical approach to healthcare, consideration should be afforded to both the style of chiropractic care used by the chiropractor as well as your rapport with the Doctor of Chiropractic. Often, a good place to start is seeking out a referral to a chiropractic clinic from a trusted friend or family member. Word of mouth referrals carry with them an element of already ‘in-built’ trust. Of course your needs are unique to you and the approach taken by one chiropractor may not suit you. However if your friend finds that chiropractic is working for them this may be a helpful starting point for you. Additionally, if multiple people recommend the same chiropractor, chances are that the chiropractor is good or reliable. You may also like to speak with your local GP (providing they are open to chiropractic care). 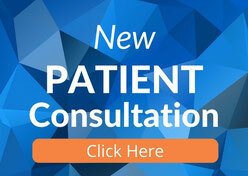 Many chiropractors and GPs work together on patient cases and often cross-refer. Make sure you feel comfortable with the chiropractor, their staff and the clinic. Ask as many questions as you want. The only dumb question is the one not asked. Ask the chiropractor about their philosophy and why they do what they do. If their answers align with your views, it may be a good fit. Also, if their answers challenge you to think differently or to question your own underlying assumptions, this may also be beneficial. Does the chiropractor have specific under-graduate or post-graduate specialties? (These may include neurology, sports medicine, orthopedics, nutrition, massage or acupuncture). Remember, chiropractic is uniquely different from western medicine. Whereas medicine is the study of disease and what makes us sick, chiropractic is the study of health and what makes us well. Does the chiropractor also recommend a series of home therapy activities to help you achieve more robust outcomes? (Think stretching, diet, sleep habits, specific exercises, posture habits, office ergonomics). Even if you have been to a chiropractor before, it is a good idea that your first visit is conducted like this so your new chiropractor fully understands your case. Ask the chiropractor for his/her best recommendations for your care. Chiropractors work to identify and address issues primarily concerning your musculoskeletal system, including back pain, neck pain, headaches and migraines, poor posture, sciatica and more. The team here at Lyons Road Family Chiropractic, lead by Dr. Paul Calladine (Chiropractor) have helped over 6,000 patients so far. With over two decades of experience in caring for our local community, our passion is helping you to get better and stay better. We proudly service Drummoyne, Five Dock, Haberfield, Lilyfield, Russell Lea and greater Sydney. 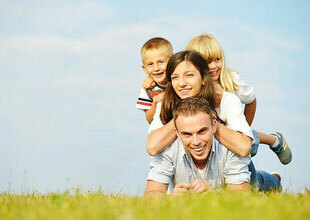 If you are looking for the best chiropractor to help you and your family, please contact us now. We are happy to answer your questions. Do You Like This Post? Share It now! 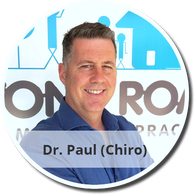 Lyons Road Family Chiro and Dr Paul (Chiro) have been serving the health care needs of Sydney's Inner West, Drummoyne, Haberfield, Rozelle and Five Dock communities for over two decades. Paul is originally from Canada and has obtained high levels of tertiary qualifications from both Canada and Australia. Paul is a wealth of information on all things natural, on fitness, long term health, nutrition and of course, chiropractic. Follow us on Facebook, Youtube, and Google+. Are you entitled to chiropractic care through medicare?